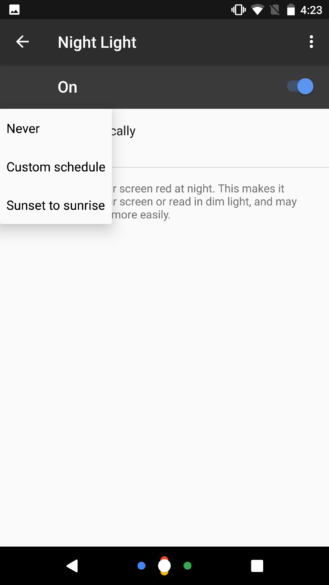 Google will introduce a new layout for its settings apps on the upcoming 2016 Nexus phones to accommodate its new Google Support tool (which we previously showed you), a new way to activate the ambient display mode via double-tap, as well as a "Night Light" to tint the display red (turn off blue pixels) for easier evening viewing, we've learned from a trusted source. 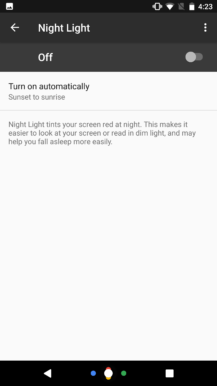 The new settings UI and the Night Light mode are pictured below. We do not have any visuals of the support tab itself, unfortunately, though as we said in our previous exclusive, we believe the Google Support app will allow for live screen sharing with customer support reps for owners of supported Nexus devices. Night Light - previously called Night Mode in the Android 7.0 previews and since removed - is something we actually thought was specifically not happening in this version of Android after discussing it with one of the Android team's leads, Dan Sandler, at Google I/O. We were told that the implementation of night mode was not up to Google's standards, and that it didn't perform in an acceptable way, so it wouldn't become part of the OS in Android 7.0. But this may have been a carefully-worded explanation. We know that Google wants to intro a number of features specific to its Nexus devices per Sundar Pichai's statements to recode in June. We also know that the reason "night mode" was removed from Android 7.0 was largely technical - the implementation was via Android's accessibility tools, not a lower-level, dedicated function that worked closely with the GPU, which meant night mode was a bit janky and encountered performance issues. Anyway, per our images above and below, Night Light will be able to turn on automatically via custom scheduling or using local sunrise and sunset data. 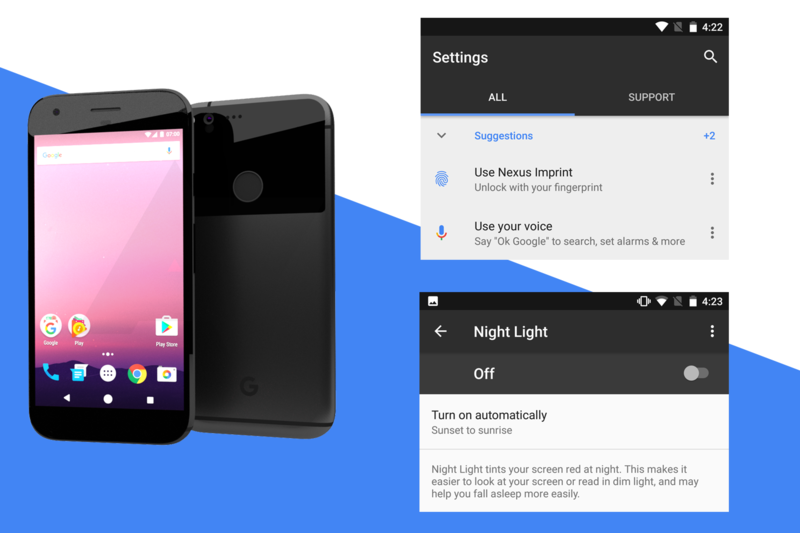 So, is it possible that Night Light will only be available on the 2016 Nexus devices, perhaps requiring some changes that couldn't be implemented on previous Nexuses? Or did Google just figure out how to do night mode "right" in time for it to make the final cut in Android 7.0? At this point, we don't know. And as you may have seen in that GIF above in the display settings: yep, there's a reference to VR. Finally: ambient display is getting a double-tap gesture. You'll be able to double-tap your screen to activate ambient display mode on the new Nexuses (it's unclear if this is coming to older devices). 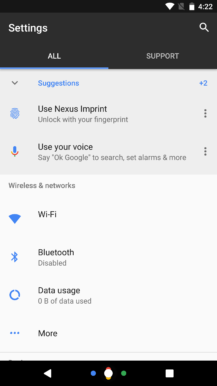 Here's a little tip animation from the upcoming Nexus phones showing how that works, which is in addition to the current behavior of ambient display activating when the phone is picked up. We are extremely confident in the quality of the above information, though as always, our disclaimer at the top of the post applies: nothing is completely official until it's actually out.